Hey everyone! 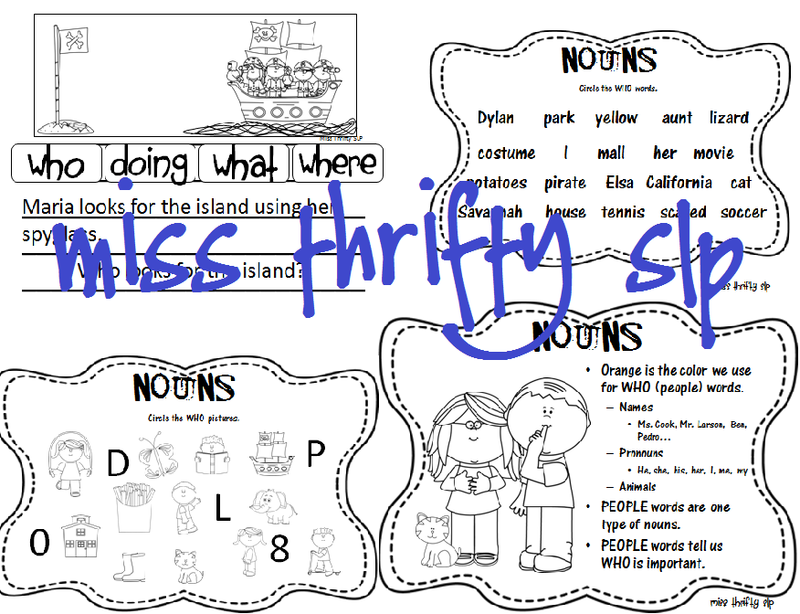 It's Miss Thrifty SLP and I'm back with another round of syntax fun today. (Apparently, it is my go to theme of the summer.) This time I am bringing you a re-energized introduction to the parts of speech in notebook form. The original notebook was a pile of practice sheets and Scholastic workbook pages. Each part of speech is introduced with its own special color. (You don't have to use the colors if you don't want to, but I find that the visual has really helped my students discover the missing information.) I added in a connection to the wh- question words for each part of speech as I often teach the two topics together. It's important to me that my students understand how the two topics are related. Then we get to the fun part! 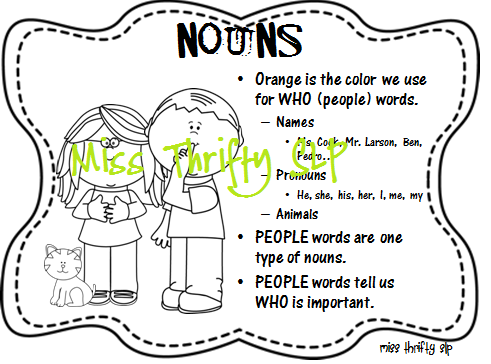 I made several worksheets to help reinforce each part of speech. I plan on adding additional pages from brainstorming that we do in group on our lined paper and other syntax activities that I've made in the past. To head on over to my blog for the freebie just click on the image below!